New 3x08 'Hold On To Sixteen' Promo! New 3x09 'Extraordinary Merry Christmas' Still! New 3x08 'Hold On To Sixteen' Stills!! New 3x08 'Hold On To Sixteen' Set Photos! Behind the Scenes: "I Kissed A Girl"
New 3x08 Hold on to Sixteen Stills!! 3x08 Hold on to Sixteen Promo!!! Watch 3x07 'I Kissed A Girl' Live with us! 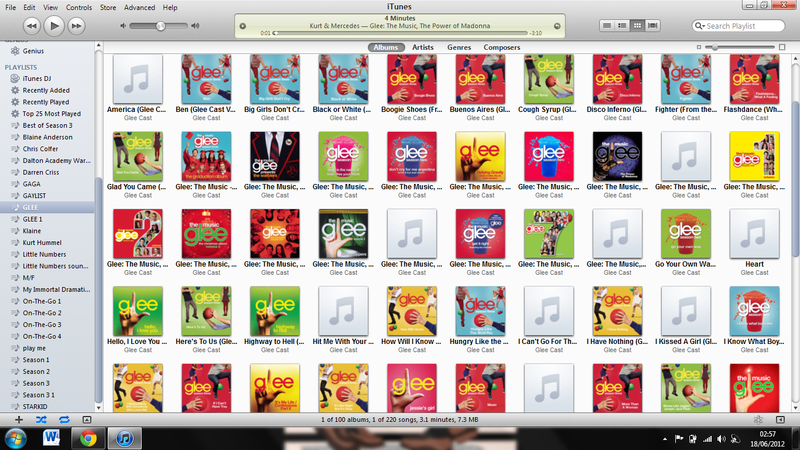 Download Now: 'Glee: The Music, Volume 7'! Spoiler Chat! Quinn wants Puck back?! New 3x08 'Hold on to Sixteen' Stills! How Much Do the Glee Actors Make?